Our popular Ball Head Series offers a fun and quirky way to congratulate your soccer team players! Featuring a soccer ball with hands and feet, holding up an engraving plate, this trophy is perfect for younger players and those that are young at heart. 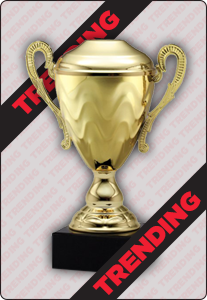 Engrave this trophy with event details or a special message for an award your team won’t forget.